Stacy Tilton Reviews: Free Welcome Box with Amazon Baby Registry! Free Welcome Box with Amazon Baby Registry! 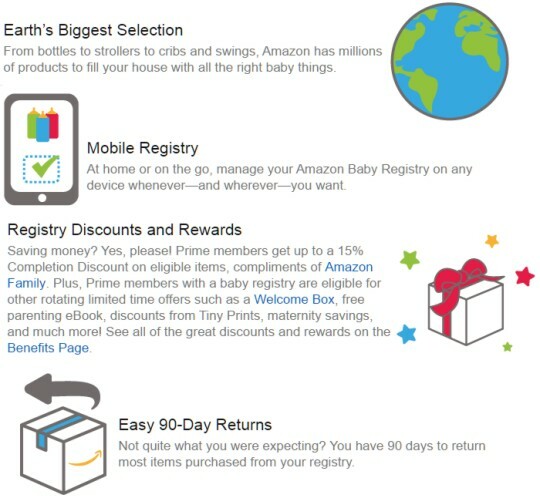 Did you know when you sign up for an Amazon Baby Registry you gets lots of great rewards? Visitors who create an Amazon Baby Registry can access great benefits. • A 10% discount (15% for Prime members) on select items on the registry upon completion. So why not check it out now? It's free to create a registry and you can change and update it anytime and anywhere! Create your Baby Registry now! I didn't realize you could make a baby registry with Amazon. That's great! And wonderful rewards, too! Wow, I didn't know Amazon had a baby registry, this is good to know.